Only $75 Weekly,with $0 down payment! Lowest Price Guaranteed on all new Hyundai models! Find a lower quote? Bring it to Lauria and we’ll beat it! Re-designed for 2019,the Tucson combines advanced safety and technology with new interior and exterior features to raise the bar in the compact SUV even higher! Highlights of the 2019 Tucson Essential Trim include: 7” display w/ Android Auto & Apple Carplay,Bluetooth,rear-view camera,power group,keyless entry,heated seats,LED running lights and much more plus Optional features Lane departure warning system and autonomous emergency braking. All-in pricing – prices include EVERYTHING but taxes and licensing. Financing example: Vehicle price is $10,000 financed over 96mo. term @ 4.9% APR. $0 Down payment. Cost of borrowing is $2,107.87. OAC. Plus taxes. Please call for more details. Port Hope’s Lauria Hyundai is a family-run dealership and has been servicing the regions of Clarington,Oshawa,Durham,Peterborough,Lindsay,Belleville,Cobourg,Whitby,Ajax,Bowmanville,and Northumberland since 1984. As multiple President’s Award of Merit winners,we were honoured to be named Canada’s number 1 overall Hyundai dealership in 2012 and have twice been ranked number 1 overall in total customer satisfaction since 2010! Satisfied customers are our key to success,give us a chance to prove it to you,we won’t let you down! Think Smart,Think Lauria Hyundai. Only $86 Weekly,with $0 down payment! Lowest Price Guaranteed on all new Hyundai models! Find a lower quote? Bring it to Lauria and we’ll beat it! Re-designed for 2019,the Tucson combines advanced safety and technology with new interior and exterior features to raise the bar in the compact SUV even higher! Highlights of the 2019 Tucson 2.0L Preferred Trim include: Alloy wheels,7” display w/ Android Auto & Apple Carplay,Bluetooth,rear-view camera,power group,keyless entry,heated seats,LED running lights,lane departure warning system,autonomous emergency braking,heated steering wheel,blind spot detection,3-drive modes and much more! All-in pricing – prices include EVERYTHING but taxes and licensing. Financing example: Vehicle price is $10,000 financed over 96mo. term @ 4.9% APR. $0 Down payment. Cost of borrowing is $2,107.87. OAC. Plus taxes. Please call for more details. Port Hope’s Lauria Hyundai is a family-run dealership and has been servicing the regions of Clarington,Oshawa,Durham,Peterborough,Lindsay,Belleville,Cobourg,Whitby,Ajax,Bowmanville,and Northumberland since 1984. As multiple President’s Award of Merit winners,we were honoured to be named Canada’s number 1 overall Hyundai dealership in 2012 and have twice been ranked number 1 overall in total customer satisfaction since 2010! Satisfied customers are our key to success,give us a chance to prove it to you,we won’t let you down! Think Smart,Think Lauria Hyundai. Only $86 Weekly,with $0 down payment! Lowest Price Guaranteed on all new Hyundai models! Find a lower quote? Bring it to Lauria and well beat it! Re-designed for 2019,the Tucson combines advanced safety and technology with new interior and exterior features to raise the bar in the compact SUV even higher! Highlights of the 2019 Tucson 2.0L Preferred Trim include: Alloy wheels,7 display w/ Android Auto & Apple Carplay,Bluetooth,rear-view camera,power group,keyless entry,heated seats,LED running lights,lane departure warning system,autonomous emergency braking,heated steering wheel,blind spot detection,3-drive modes and much more! All-in pricing prices include EVERYTHING but taxes and licensing. Financing example: Vehicle price is $10,000 financed over 96mo. term @ 4.9% APR. $0 Down payment. Cost of borrowing is $2,107.87. OAC. Plus taxes. Please call for more details. 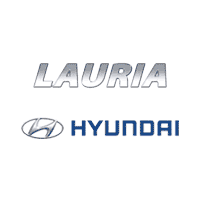 Port Hopes Lauria Hyundai is a family-run dealership and has been servicing the regions of Clarington,Oshawa,Durham,Peterborough,Lindsay,Belleville,Cobourg,Whitby,Ajax,Bowmanville,and Northumberland since 1984. As multiple Presidents Award of Merit winners,we were honoured to be named Canadas number 1 overall Hyundai dealership in 2012 and have twice been ranked number 1 overall in total customer satisfaction since 2010! Satisfied customers are our key to success,give us a chance to prove it to you,we wont let you down! Think Smart,Think Lauria Hyundai. Only $87 Weekly,with $0 down payment! Lowest Price Guaranteed on all new Hyundai models! Find a lower quote? Bring it to Lauria and we’ll beat it! Re-designed for 2019,the Tucson combines advanced safety and technology with new interior and exterior features to raise the bar in the compact SUV even higher! Highlights of the 2019 Tucson 2.0L Preferred Trim include: Alloy wheels,7” display w/ Android Auto & Apple Carplay,Bluetooth,rear-view camera,power group,keyless entry,heated seats,LED running lights,lane departure warning system,autonomous emergency braking,heated steering wheel,blind spot detection,3-drive modes and much more! All-in pricing – prices include EVERYTHING but taxes and licensing. Financing example: Vehicle price is $10,000 financed over 96mo. term @ 4.9% APR. $0 Down payment. Cost of borrowing is $2,107.87. OAC. Plus taxes. Please call for more details. Port Hope’s Lauria Hyundai is a family-run dealership and has been servicing the regions of Clarington,Oshawa,Durham,Peterborough,Lindsay,Belleville,Cobourg,Whitby,Ajax,Bowmanville,and Northumberland since 1984. As multiple President’s Award of Merit winners,we were honoured to be named Canada’s number 1 overall Hyundai dealership in 2012 and have twice been ranked number 1 overall in total customer satisfaction since 2010! Satisfied customers are our key to success,give us a chance to prove it to you,we won’t let you down! Think Smart,Think Lauria Hyundai.